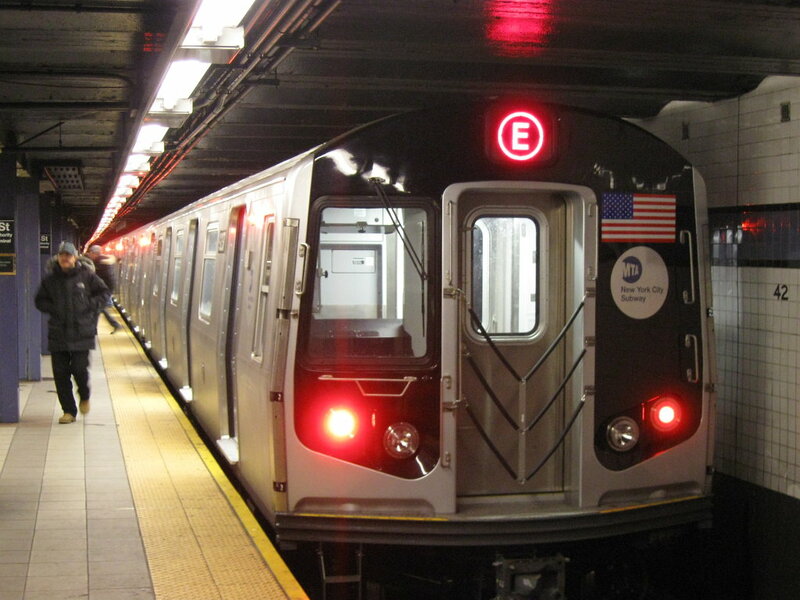 The New York City Subway is one of the oldest and most extensive public transportation systems in the world. Riding the subway is a fast and affordable way to get around NYC, but it can also be confusing and stressful for newcomers. Below is a list of tips from the Career Training USA team on how to best navigate and ride the NYC Subway. Check for any Planned Service Changes on the MTA website. This can be particularly helpful on weekends when there are frequent service changes. The numbered trains now have countdown clocks in the stations that you can check before swiping your card so you know how long you'll have to wait. If there are major delays you can go to a different train line that may be running more on time. Some train lines have real time schedules that you can look up on the MTA website and plan your travels. When looking at a subway map, note that not all trains of the same color will stop at all the same stops. Some trains are local and others are express. Look at your specific stop on the map to see the numbers and/or letters listed to know which train(s) will actually make the stop. MetroCards now cost $1 in addition to the value you add to them. Do not throw out your old or expired cards. If you have an expired card, you can replace it in the vending machines without needing to pay the $1 fee. Have your MetroCard out and ready BEFORE you approach the turnstile. Do not block other passengers from reaching the turnstile while you search through your purse, wallet, pocket, etc. for your card. When entering and exiting stations, always keep to the right. This is important on escalators, too. If you intend to stand and not walk, stand on the right so that others who are walking may pass on your left. Take note of uptown and downtown entrances and be sure to choose the right one! Express stops will often have entrances that will allow you to board either uptown or downtown trains from that entrance, just follow the signs once you're in the station to the uptown or downtown train. Occasionally, non-express stops will have an underpass to the trains going in the opposite direction, but this is rare, so plan ahead and pick the right entrance. Station Globes are usually marked outside with green or red globes. If green, the station is open all the time. If red, the entrance will be closed at night and you'll need to find the other entrance(s). Let people off the train before entering! Do not rush onto or off of the train, you will invariably run into someone coming the other way. As you approach the train and the doors begin to close, do not hold the doors open and try squeeze through. It is not worth getting yelled at and/or getting injured. If an otherwise packed train has a nice empty car, chances are there is a reason it's empty—usually, there is no air conditioning or there are unpleasant smells. Pick a different car. In the middle of the platform, there is a black and white board about six feet long, hanging overhead. This is where the conductor will be when the train stops. If you have questions about where the train is going, stand here to wait so you'll be able to ask the conductor when the train arrives. It's also a safe place to board late at night, as you'll be near the conductor. Listen carefully to all announcements while you are on a train. Don't lean on the poles, they are for holding. Remove your backpack when entering a crowded train to make space for others. Offer you seat to elderly, pregnant, or disabled individuals. On crowded trains, move away from the doors and toward the center of the train to make room for other riders. Do not take up two seats with your person or your bags. Avoid using phones/tablets when sitting in the seat next to the door because it's easy for someone to walk by and grab your electronics and run. If standing near the door, try to avoid leaning on the person sitting next to the door or hitting them with your bags. Be aware of your music volume, and always use headphones. Missed your stop? If you don't want to exit at the next station and re-enter for the train going back to your missed stop, you can often go a few more stops until you reach a station where express trains stop. In most cases these stations will have a free connection to the trains going back the way you came from. If you use your MetroCard, you can use it again within 2 hours for a free transfer from Bus to Subway, Subway to Bus, Bus to Bus, or between Subway stations when you are required to exit the station to make your connection. Exit Strategy: Helps you board the subway that will open nearest the exit at the stop you are getting off at. Embark: Subway map that does not require internet access which is very important when you are underground! HopStop: An online city transit guide offering door-to-door subway and bus directions and maps for over 140 cities around the world. iTrans NYC: Provides live train information, MTA maps, directions, schedules, service alerts, and more. NYC Subway Times: Same as iTrans NYC, but for Android. Check out this awesome Buzzfeed article that ranked all NYC subway trains from worst to best. There are some amazing musicians authorized to perform through Music Under New York. You can find performers in more than 30 NYC transit locations. Keep an eye out for poems in the subway cars that are part of MTA's Poetry in Motion.